IRVINE, Calif.--(BUSINESS WIRE)--Cylance Inc., the leading provider of AI-driven, prevention-first security solutions, today released the first in a series of research reports that explores the identification and tracking of a new—and likely state-sponsored—threat actor whose profile does not match any of the established advanced persistent threat (APT) groups. The Cylance threat intelligence team analyzed a large portion of The White Company’s exploit kit, which in this case involved a painstaking examination of the machine-language instructions embedded in a sample of roughly 30 exploits. Genetic marking and mapping of 42 unique features allowed researchers to track the development, modification, and evolution of the exploit kit over time, allowing Cylance to link The White Company to other previously unidentified or misattributed campaigns. 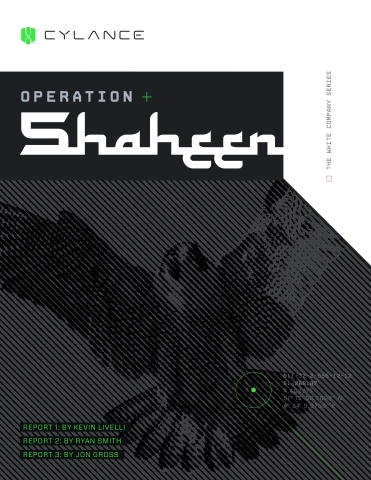 Cylance releases the first in a series of research reports that explores the identification and tracking of a new threat actor.